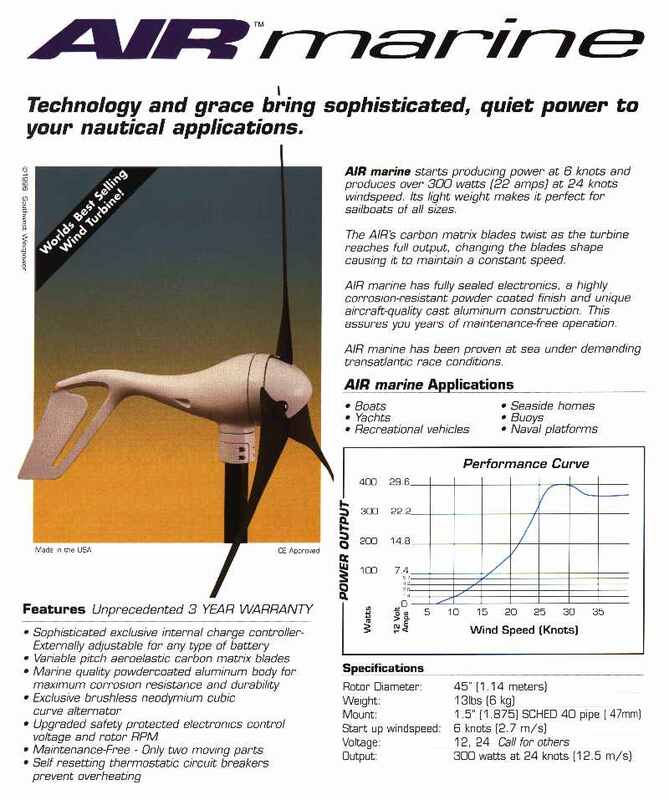 If you live in an area where the wind is a viable source of power, this segment of our catalog is very important to you. 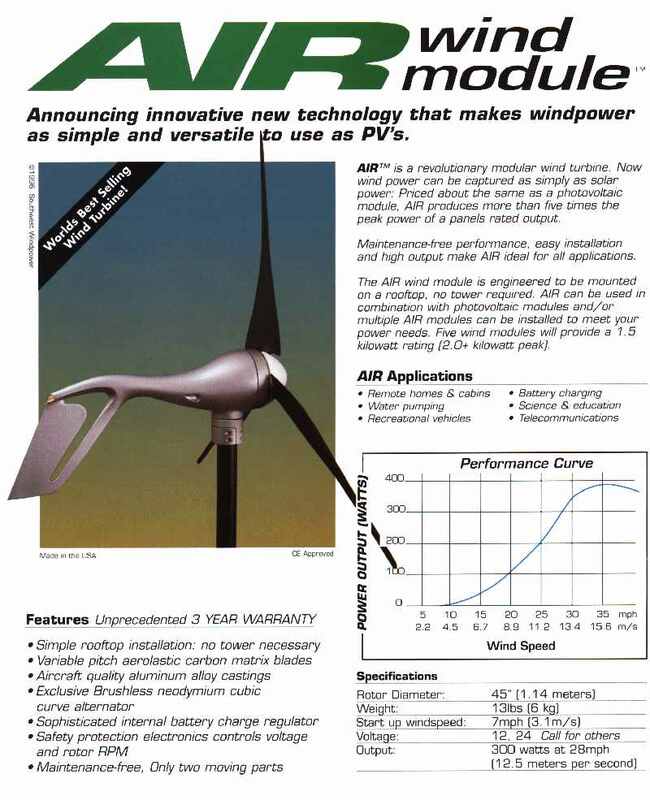 Wind is usually the most cost effective way to collect solar power. However, it is essential that you install well made equipment that can handle years of use with little or no maintenance. 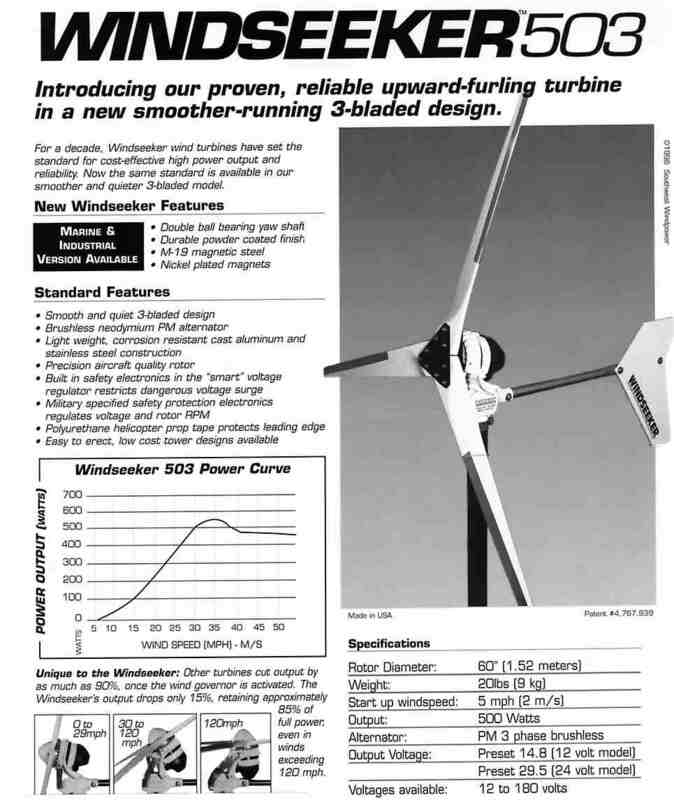 Wind power generators are mechanical devices, usually mounted on tall towers that are difficult and expensive to repair.